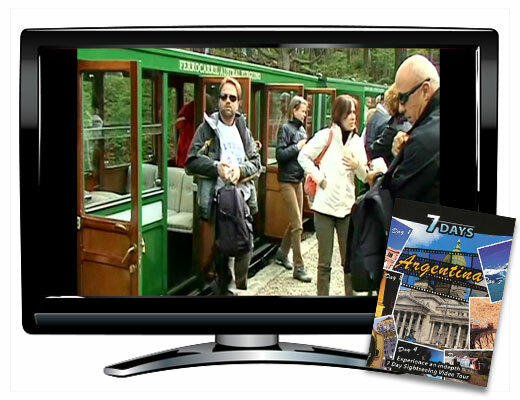 Take a tour of the land of the tango, and discover how it is full of adventure and breathtaking nature. The fiery temperament and deep melancholy is expressed in the tango, the classic dance performed throughout the country. 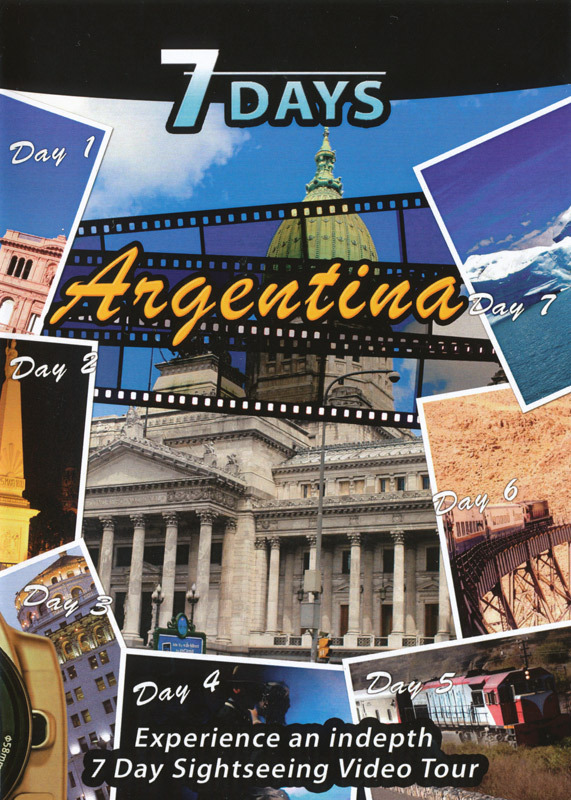 Buenos Aires, the capital of Argentina, begins an enchanting visit to the most European city in South America. You'll fall in love with the Plaza de Mayo, Casa Rosada, Catedral Metropolitana, Salta Station, Tren a las nubes and Los GlaciaresNational Park. 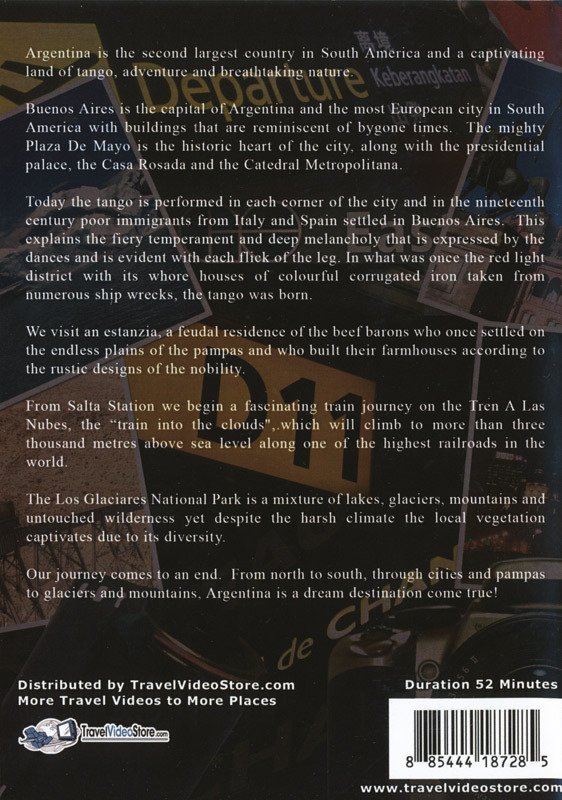 The journey from city, to estancia, to the untouched wilderness of its lakes, mountains and glaciers will be unforgettable. ©2009. 52 minutes. Narrated in English. Not rated.